The Congressional Budget Office (CBO) released two supplemental reports this month—the first reveals budget scenarios it “did not have enough time” to include in June’s 2018 Long-Term Budget Outlook, and the second shows what needs to happen for policy makers to reach certain government debt targets. I plan to post a few charts summarizing the new reports, but because I’m sounding off on bonds for now (or in a moment) and don’t need all the detail to support my argument, I’ll share only a short summary of the first report. In its report titled The Long-Term Budget Outlook Under Alternative Scenarios for Fiscal Policy, the CBO produced three scenarios that didn’t make the publication deadline for its primary long-term outlook. In a more honest world, though, the order of publication would have been reversed—the primary report would have contained only the new scenarios. By building the new scenarios on well-established lawmaking practices that are disallowed in the primary report’s “baseline” scenario, the CBO is finally nudging toward a realistic estimate of our government debt trajectory. The new scenarios address the problem that the baseline is so heavily gamed by devious lawmaking and compromised by shoddy economics that it falls somewhere between unhelpful and fraudulent. Does that sound extreme? Too radical for you? The figures are built on a blissful economic future marked by improving productivity growth and a 30-year average unemployment rate lower than America has ever recorded. The figures exclude debt owed to the Social Security and Medicare Trust funds. So given all the reasons to think the CBO’s debt projections are too low, you might expect numbers that are, well, low, right? How about this: 210%, 230% and 260% of GDP, respectively, in the three scenarios. Those are the optimistic estimates for where America’s debt-to-GDP ratio might be in 30 year’s time. For reference, America’s “debt held by the public” is currently 76% of GDP, so the optimistic estimates call for about a tripling in proportion to the economy over the next three decades. But enough about debt-to-GDP ratios, let’s talk about the Treasury market. The argument I’d like to layer onto the CBO’s numbers is that United States debt fundamentals are so weak and so short of politically viable solutions that policy makers will resort to a strategy as old as government borrowing. That is, they’ll exploit every possible method for suppressing Treasury yields. In my best shot at big-picture forecasting, I see a potluck table full of yield-suppression methods—within a general category of financial repression—and my nickel’s worth of advice is this: Don’t fight financial repression. 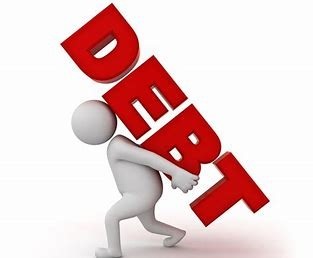 Centuries and even millennia of recorded history show overindebted governments habitually using financial repression as an essential part of their debt management strategies. That’s not likely to change in a cold flash circa 2018. As it happens, the biggest buyers of Treasury debt are commercial banks. Just when the Fed started tapering its purchases in December 2013 and left some issuance for private players to absorb, their Treasury and agency holdings started to skyrocket, from $1.8 trillion to $2.55 trillion, as of July 2018. In other words, heavily skewed regulations have gifted banks the proverbial money machine. And by cranking that machine, the banking sector has become a gigantic and somewhat price-insensitive government bond buyer, one on which the Treasury Department can depend even as debt spirals higher. But accounting regulations and required capital calculations are just a few of the levers policy makers can operate to suppress yields. In the decades immediately following World War II, for example, the United States used tactics including caps on deposit rates (Regulation Q) and a continuation of the Great Depression–era prohibition on gold holdings. By making other low risk investments either uncompetitive (bank deposits) or illegal (gold), policy makers ensured plenty of demand for the vast debt America accrued during the war. Bond buyers had little choice but to settle for yields on government securities that were either below or close to inflation rates, and those unusually low real yields helped open a large gap between GDP growth and debt growth. In over three decades from World War II to the 1970s—a period that scholars Carmen Reinhart and M. Belen Sbrancia have dubbed the “financial repression era”—America’s financial repression triggered an unprecedented drop in the debt-to-GDP ratio. worked with and regulated privately held banks to further support government financing. The Federal Reserve, for example, did all of the above during both World War II and the Korean War and throughout the five years in between. And to state the obvious, the Fed once again bullied the Treasury market during the last ten years. Outside the United States, we’ve seen an even broader array of tactics, especially during Reinhart and Sbrancia’s financial repression era but also in the last decade. Additional forms of repression include capital controls, more aggressive central bank purchases (the ECB has bought so many German bunds that private investors are left with less than 10% of the market by some estimates) and directed investments, whereby policy makers require government managed or regulated asset pools to invest in government securities. In the future, desperate American politicians, who seem to have lost any interest in fiscal discipline as a method for slowing debt growth, could decide to add any of the globally popular financial repression tactics to their policy mix. And don’t scoff—just a few years ago you might have ridiculed anyone predicting a fierce tariff war. In my opinion, there’s a kind of natural progression underway. In 2008-9, policy makers threw out the rulebook to rescue the likes of Goldman Sachs and AIG, enacting measures that would have been deemed nonsensical just a few years before. But the rulebook should change once again in the future, and that change may not be too far off. In the next instance, policy makers will do whatever it takes to support the ultimate too-big-to-fail institution, the United States government. In other words, if it was supposedly such a no-brainer that AIG shouldn’t be allowed to enter bankruptcy, what do you expect to happen when an almost vertical debt trajectory threatens the biggest Kahuna of all? My answer is that a coalition of lawmakers, administrators and central bankers will usher in a brand new era of financial repression. So whereas many investors consider rising government debt to be a bearish indicator, owing to the risk of default or hyperinflation, I’m saying it should continue to be a bullish indicator, owing to the likely policy response. That’s exactly how the situation has played in Japan, whose debt is already well above 200% of GDP, and I don’t see the United States being much different. For now, at least. At some (tipping) point, the risk of default or hyperinflation is likely to overwhelm everything else. But assuming the United States can avoid World War III, I would place the tipping point well beyond the average investment horizon. To be sure, financial repression won’t explain every 10 or 20 basis point change in the 10-year Treasury note, or even every 50 or 100 basis point change. But what it does is to provide a backstop. If you’re not forecasting inflation to head skyward, 1970s-style, as many do but I’m not sold on their story (see here for discussion), you might expect financial repression to keep the decades-long bull market in Treasuries intact. You might reject the longstanding bearish consensus. Consider this: When you hold Treasuries, you’re aligning your interests with those of the entire political class, along with the interests of arguably the politicians’ most influential patrons—bankers. You’re gaining the backing of powerful forces, to say the least, and that’s about as “big picture” as it gets.